Smoking is associated with pleasant and comforting feelings for many smokers. It can even be expressed as a love of smoking. Cigarettes can relax you and smoking can be a way to retreat and pamper yourself. You might even think of cigarettes as close friends that have seen you through the ups and downs of your life. How can you hope to quit for good when you love smoking? Logically speaking, cigarettes are full of toxins of the worst kind and are nothing even close to being your "friend." Emotionally, however, years of tobacco use have taught you that cigarettes help you with everything from boredom to anger management. You've learned to look at smoking as a buddy that helps you cope. 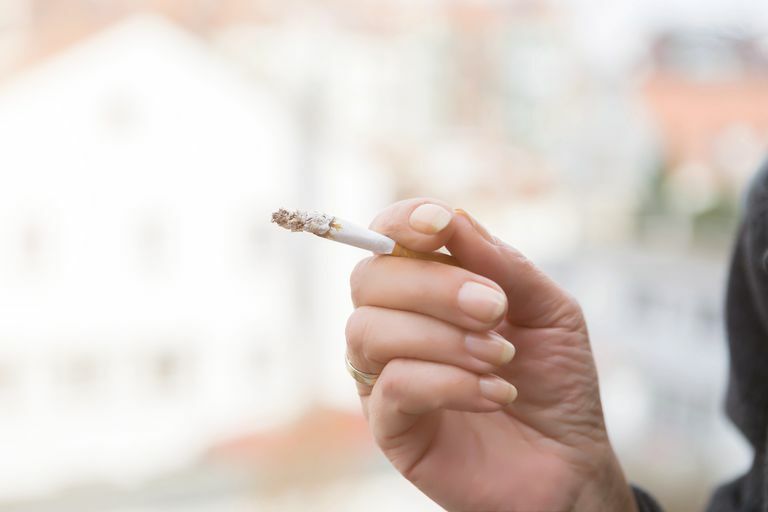 Smokers live in an almost constant state of nicotine withdrawal, from the first cigarette of the day until the last. As soon as you stub out a cigarette, the level of nicotine in your bloodstream begins to drop, signaling the start of nicotine withdrawal. Within a half hour, you are thinking about the next cigarette, and by the one-hour mark, most smokers are edgy and uncomfortable. You light a cigarette and within a few puffs, the discomforts ease up. Chemically, you have that dopamine rush that comes when nicotine attaches to receptors in your brain. The fidgety tension is gone and you are back to feeling comfortable. It won't last long, though, because within a half hour to an hour, the process will repeat itself. It is this pattern of nicotine depletion and replenishment in the bloodstream that you have learned to think of as "smoking pleasure." Over time, that physical need, which is all about addiction, gets attached to every emotion and event in your life. And like Pavlov's dogs, you learn to crave a cigarette when difficult emotions come, even if the nicotine level in our bloodstream is topped off. Smoking has become your "friend," your "companion" in times of stress. You ignore that this is a toxic relationship. The good feelings that come from smoking are constantly reinforced every time you light up while the negative effects (such as respiratory problems and lung cancer) can take time to develop and are not immediately associated with the act of smoking. It will take an act of will to break up the relationship. You have to develop the will to quit smoking. True and lasting recovery from nicotine addiction must involve changing your relationship to smoking. You have to coax out all of the fallacies you have taught yourself over the years and look at them in the light of day. Give recovery from nicotine addiction all of your attention and know that you are not a helpless slave. You can reclaim your life and get to a place where smoking no longer has the power to influence you. Is Snorting Drugs More Dangerous?